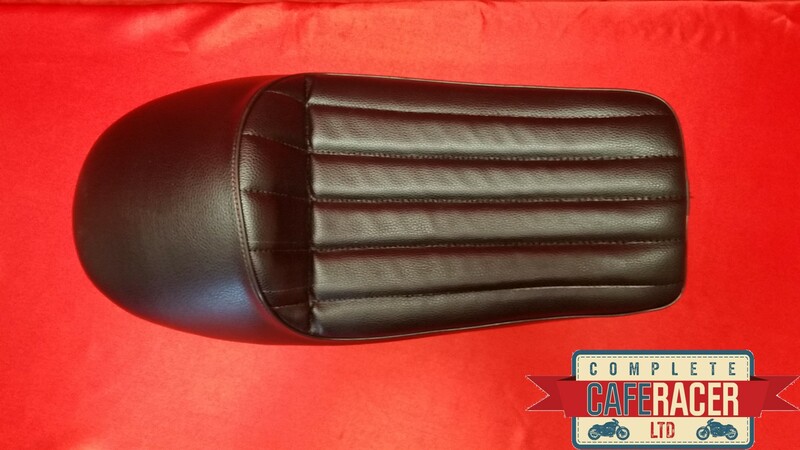 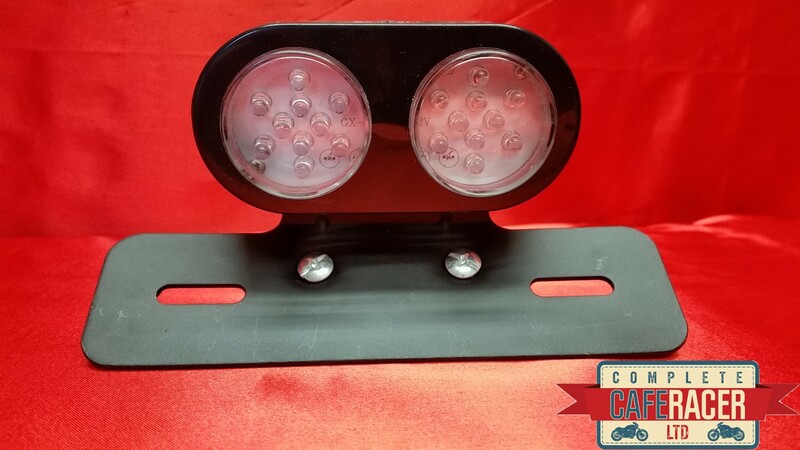 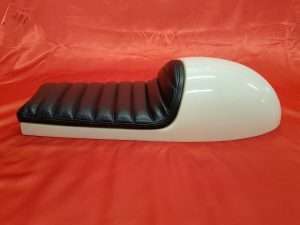 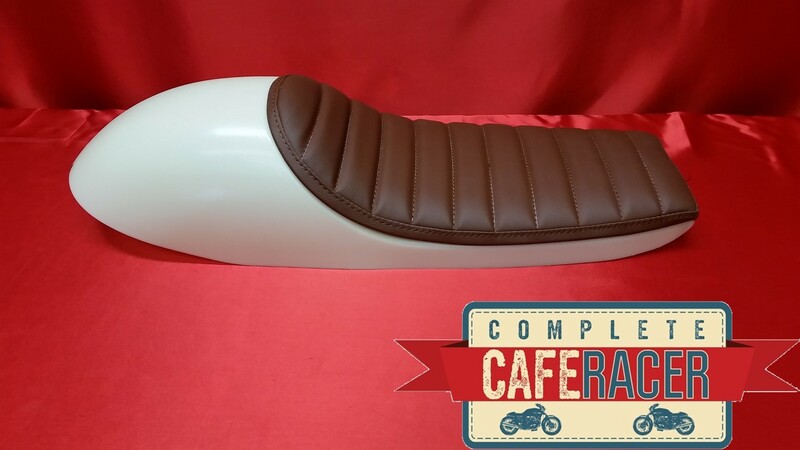 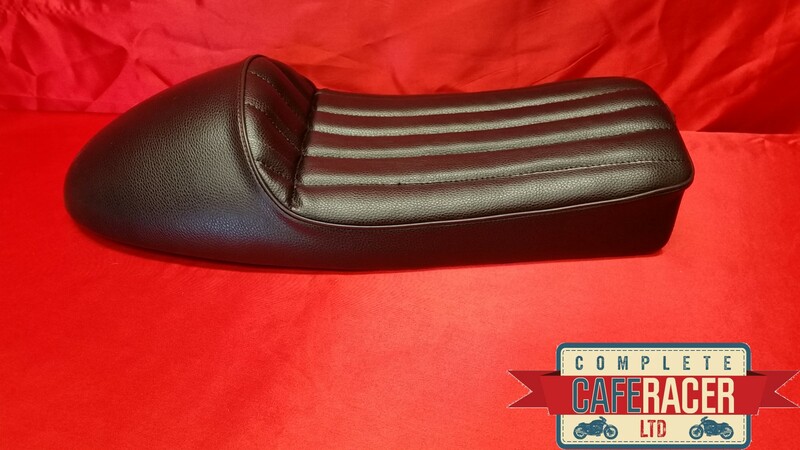 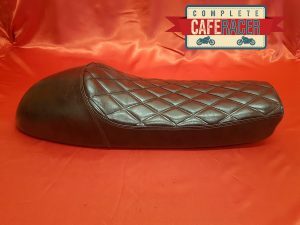 The (LS20) Cafe Racer Leatherette Seat with Black Leatherette is a top quality Cafe Racer seat. 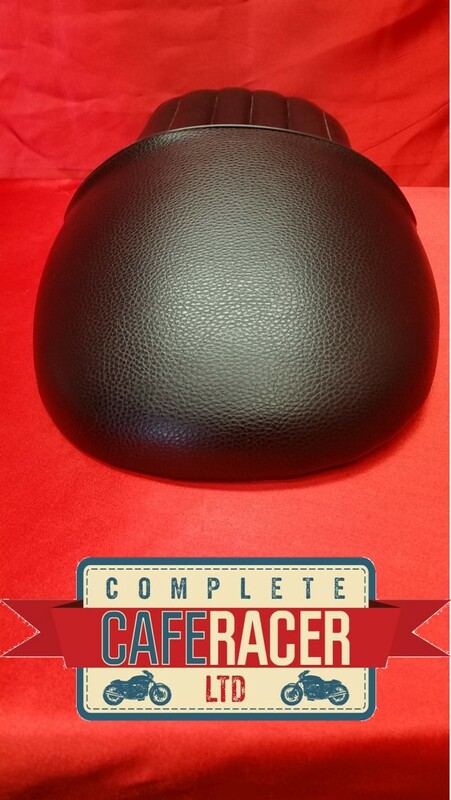 The seat base is ABS moulded with black leatherette. 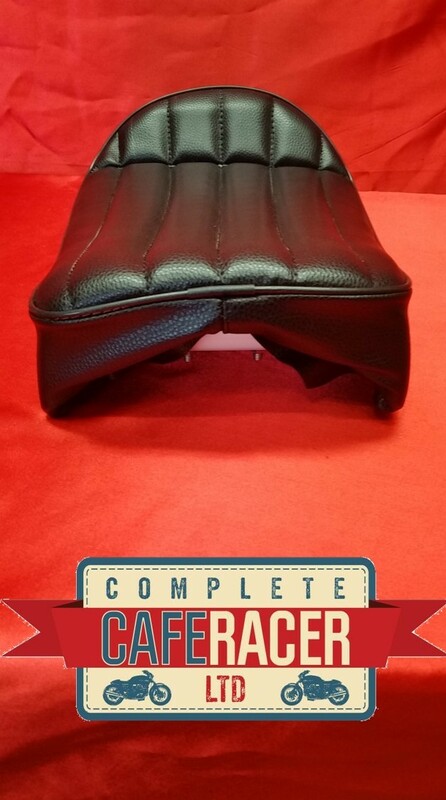 The leatherette is man made and waterproof. 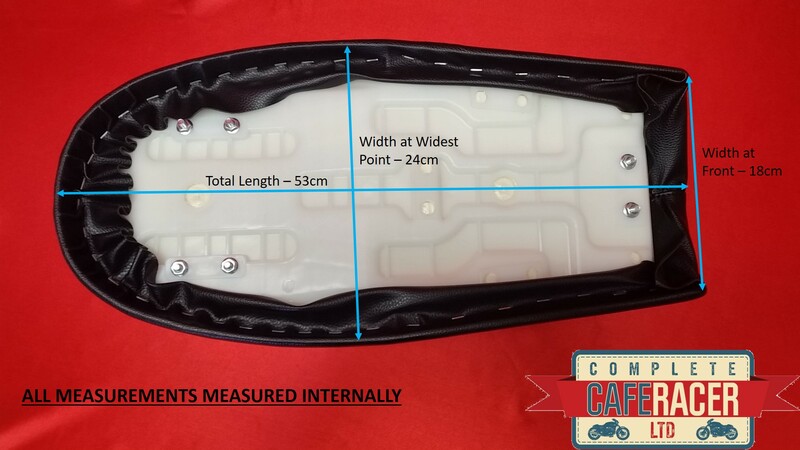 The seat comes with a basic fitting kit so will need adapting to suit your bike.